That would mainly be the Duke of Sussex’s grandmother, Queen Elizabeth II. According to the Sunday Times, Meghan and Harry are understood to have lobbied for an autonomous new court, but the Queen and Harry’s father Prince Charles, the Prince of Wales, who will jointly fund their office, were not having it. The Sunday Times reported that Meghan and Harry want to build a global “Sussex brand” of philanthropy and humanitarianism, and that the duchess is also understood to want to continue in her role as an “activist”. Buckingham Palace, which represents the Queen, and Kensington Palace, which represents Meghan and Harry as well as his brother Prince William and wife Kate Middleton, have not commented on the report by the Times, the U.K.’s most trusted newspaper. The news came a month after E! News and the Sunday Times reported that Harry and William had plans to split their royal household before Meghan gives birth to her and Harry’s first child this spring. A source had told E! News that the two courts would also have separate staff, and that it is hoped the division of the household will help ease the reported tensions between the Sussexes and the Cambridges. 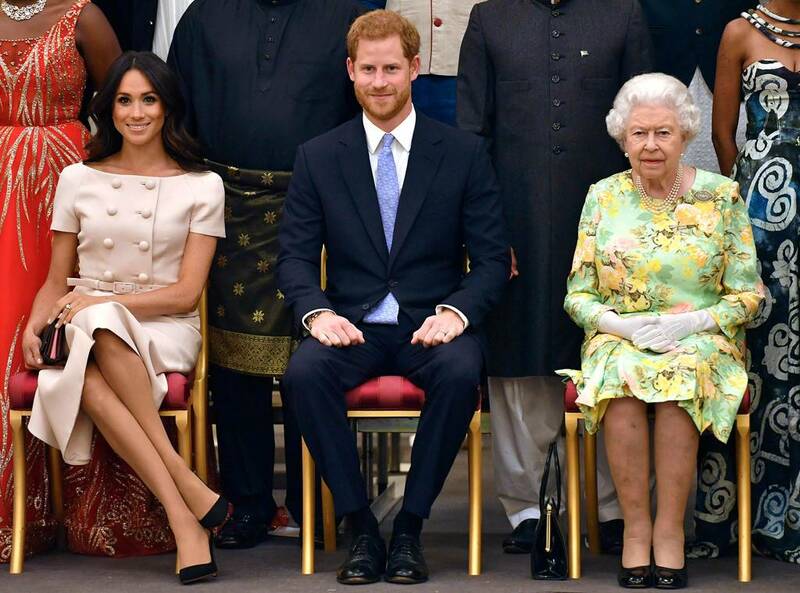 Meanwhile, the Queen has “given permission for The Duke and Duchess of Sussex to base their Household Office at Buckingham Palace,” the royal family’s statement said.